Many people say “someday I am going to write a book.” For a variety of reasons, most never accomplish that vision. Life takes over. They have kids, work two jobs, encounter medical and family issues, and the list goes on. The reality is that many people simply do not have the drive, determination, or ability to set a long term goal and stick with it. The business of writing a nonfiction book is hard work. And it IS a business. It involves a process that requires knowledge, time, and effort to effectively put thoughts into words and words into meaningful content that others will want to read. You must use effort before, during, and after your book is written to market and sell it. 1. Become customer-focused. Your readers are your customers. If you are going to successfully produce and market content to them, you must get into the mindset of serving their needs, wants and expectations. That may mean that you have to read articles and books on the topic of customer service. This will help to identify ways that stellar customer service professionals succeed in dealing with customers from all backgrounds. If you think like a customers (reader) while writing, and then again as to look for ways to sell your creations, you are more likely to successfully navigate the process of becoming an author. 2. Embrace technology. The reality is that most people do not have all the time that they need to do everything that they want or should do. The same is true as an author. If you are not currently comfortable with technology and social media, you will need to learn as much as possible. Do this quickly and embrace rather than dread it. Technology is the way of the world today. Successful companies are learning how to use Twitter, Facebook, LinkedIn, Pinterest and other platforms to get their message out. You will also need to learn how to embrace technology if you want to let people know about yourself and your book. This involves personal branding and building of an author platform. Whether you decide to use a traditional publisher or become an independent publisher, marketing books with social media will a big part of your road to success. 3. Consider yourself a “business.” A third thing that I encourage all authors to do is to become business-minded. Before you attempt to become an author, you should realize that are a “business.” As such, you will assume at least the following roles, plus others. While you may not be an expert in each, you should at least understand the roles required. This will allow you to recruit resources with the expertise you need to handle each facet of the business of writing. To help in that effort, I have hot linked each role to resources that can assist in enhancing your knowledge of what the role entails. 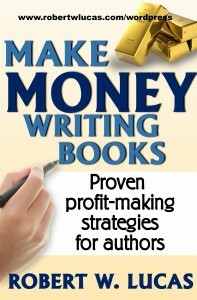 To get additional related to the business of writing and how to build your author platform and enhance your opportunities to sell more books, check out Make Money Writing Books: Proven Profit Making Strategies for Authors. There are a variety of ways to succeed as a nonfiction author if you take time to plan ahead before you start writing. Like many other things in life, writing a successful nonfiction book takes more than just a dream. Some people have the mistaken belief that writing a nonfiction book will bring them fame and fortune. While there have been many exceptions (e.g. Jack Canfield, Dale Carnegie, Truman Capote, Maya Angelou and Stephen Hawking) the average nonfiction book averages less than 2,000 copies in sales over its lifespan, according to an article by publisher Berrett-Koehler. Even though all of the authors I listed above have sold millions of copies during their lifetime and later, they is not the norm. I do not want to dissuade you from writing, but if you are looking to create a primary stream of income from writing you will have to prepare. I suggest that you start by doing some research on the number of books published each year and prepare for your competition. For example, if you search for “nonfiction books” on Amazon, you will get a listing of various genres totaling over three million titles. The following are several ways to succeed as a nonfiction author. Do your homework. You can quickly get an idea of what you are up against by researching similar titles to the one you have planned. Look at competing titles from the standpoint of content, format (e.g. size, print, eBook, and design), quality, pricing and other factors that will impact sales. Objectively assess your reasons for wanting to write a nonfiction book. People write for different reasons. For you succeed, you should first objectively and honestly decide why you want to write. Some typical reasons are personal or business credibility,fame, fortune, to help others, you have something to say, you want a creative outlet, to leave a legacy for future generations, or for brand identification. Whatever your motivation, it is important to set realistic goals based on it. Research shows that people who put their goals in writing and refer to them regularly are more likely to attain them. Put a not next to your computer or on the refrigerator to visually remind you of what you want to accomplish. Create a viable plan of action. To succeed in attaining your goals, you will need to develop a plan of action in the form a project or business plan. You also have to dedicate the hours required for all phases of the writing, production, marketing and selling processes. If you take these simple actions, you significantly increase your chances of success and for providing a decent income for yourself and your family. What are some of the steps you have taken to become a successful nonfiction author? 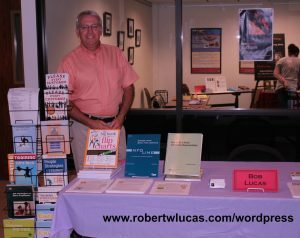 Author Robert W. Lucas to speak at Florida Writers Association mini-conference for nonfiction authors at the Hilton Orlando/Altamonte Springs on June 25, 2016. Along with Bob, other successful authors and other writing industry professionals will conduct sessions designed to help current and aspiring authors build their knowledge related to writing, producing, marketing and selling books and building an author platform. Bob’s three- hour session, The Business of Writing: Turning Your Ideas into Profitable Words, will address strategies for becoming a successful nonfiction author, how to produce, market and sell books, and ways to create an author platform and enhance an author’s personal brand. For more information and to register before June 23rd visit the Florida Writers Association website. https://floridawriters.net/conferences/mini-conferences/nonfiction/. 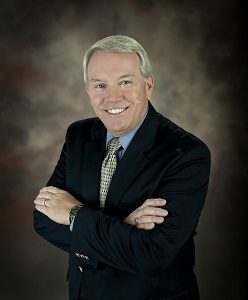 For information about the presenter, Robert W. Lucas, visit http://www.robertwlucas.com. There are many ways for authors to effectively market and sell their books once published. Many authors and self publishers have relied of author book signings to gain exposure for themselves and their book(s). If planned and executed properly, these events are helpful in letting local bookstore personnel, potential readers and the media know about your latest masterpiece. You can also potentially sell some books in the process. 1. Make yourself memorable. Think of things that you can do that will help the bookstore manager, staff, and community relations coordinator remember you and your book. Certainly, you want customers to remember you. A simple way to make a positive and lasting impression is by being personable, smiling, and enthusiastically greeting anyone with whom you come into contact or who passes by your signing table. Many authors are introverts who prefer writing to networking with others. A book signing is no time to sit behind a table and wait for people to come you. They likely will not unless you are a noted best-selling author. To demonstrate your enthusiasm, stand up, talk to people and, if someone stops by, put a copy of your book in their hands as you discuss the benefits of it to them and give your 30-second “elevator speech” about the book. If they stop talking to read the back cover or open the book to see what it is about, stop talking briefly and then ask a few brief questions that might seal their interest. For example, for my book 231 Ways to Say I Love You…and Mean It, which focuses on fun and practical strategies for enhancing communication, building trust, and adding the spark into a relationship, I might ask, “When was the last time you spent a set a goal of doing one thing a day to let your spouse or significant other know how much you love and care for them?” Based on a response that they do that regularly, I might tell them how commendable that is because most people do not think to do these things. I would then add that the book offers 231 proven ways to communicate love and caring and that it also has a self assessment and list of resources in the back. I would point these areas out in the book that they are holding to make my point visual, since some research shows that between 40-65 percent of people are visual learners. If they say that they do not regularly make an effort to share their feelings or thoughts, I might offer some of the statistics that indicate that people in strong caring relationship live longer, and then share a couple of ideas from the book that they can easily do to strengthen their relationship. The key to this whole process is to listen and then respond appropriately to your potential customer. 2. Provide the store’s event coordinator with information. Make sure to get information about yourself (biography, list of awards, or upcoming local presentations) and your book to the community relations person at the bookstore. At least, provide a brief description of the book, several copies of your book cover, and other marketing pieces (e.g. page markers, postcards with book cover and description on them, business cards, flyers and brochures) for use in promoting your book and the event. Get this information to the coordinator at least two months in advance. Most stores will create a poster with your book cover and information about the event for display at the store entrance. If they do not, have your local print shop or office supply store reproduce a 27 X 35 inch laminated cover image with the time, date, and location on it. Get this to the community relations coordinator and ask that it be displayed in a prominent location. 3. Help promote the event. Get the word out about the event through all your social media sources multiple times before the scheduled date and ask friends and relatives to do likewise. Next, contact local news media (e.g. newspapers, radio and television) to let them know of the event. Also, check with local libraries to see if they will allow you to post a flyer on their bulletin board. If you are a member of a local religious, professional or nonprofit organizations, ask if they will announce the event in their newsletter, on their website, or through any other potential channels. Do likewise with local companies or businesses with which you have a personal or business relationship (e.g. your doctor, hair stylist, dentist, veterinarian, car wash, shop owners or others). Some supermarkets have community bulletin boards at the entrance and allow flyers about local events that can be posted for short periods of time. The key is to think outside the box about where the most people will see the information. For additional ideas on how to enhance your personal brand, promote and sell books and related products, check out Make Money Writing Books: Proven Profit Making Strategies for Authors. 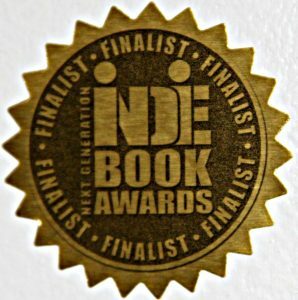 I am excited to share that my first self-published book, Make Money Writing Books: Proven Profit Making Strategies for Authors was selected as a Finalist in the Writing/Publishing category of the 2016 Next Generation Indie Book Awards. Using today’s technology to build a strong image and following for your book(s). 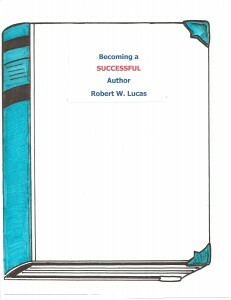 For additional information about the Make Money Writing Books: Proven Profit Making Strategies for Authors, Bob Lucas and training programs for authors and self-publishers visit Robert W. Lucas Enterprises. Like many things related to writing, I believe that the answer depends on the individual. I’ll briefly break down my perspective below and you can decide what will work best for you. Wanting to share a message or ideas with others. Desire for fame and fortune. Wanting to leave a legacy for family and friends. Opportunity to creatively express oneself. Interest in helping others by sharing knowledge, skills and expertise. Joy received from writing and seeing your message in print. 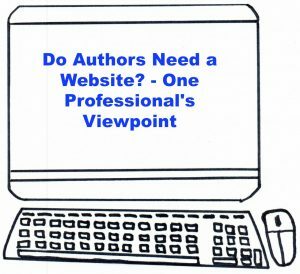 Do authors need a website? 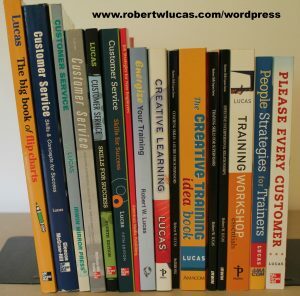 Should you have a book website? Should you invest in both types? all these questions are worth considering. Your purpose for writing will often determine whether you have an author website, book website, or both. Many authors who are also speakers, trainers, consultants or professionals in other areas choose to have a website where they can highlight their background, expertise, services and products (e.g. books and derivative items). Photos of you and your product(s) and book(s). Connections to any blogs that you host. Media page where interested parties can download press releases, images and other information for publication or articles. List of products and services offered. Listing of articles that you have written. Sales page where people can buy books and any other products you offer. Links to all your social media connections, such as, LinkedIn groups that you host or a Facebook author page. Resources that you offer visitors. It is also a good idea to offer an opportunity for site visitors to opt in to mailing lists that you can use for marketing and informing followers. You can offer a free article, eBook, or chapter download as an incentive for people to sign up for your list. Make sure that you link any book website(s) to your author website to increase the chance that search engines will find your sites and drive traffic there. As you would suspect, the purpose of a book website is to highlight and sell your book(s). By having a dedicated site with a domain name that mirrors your book title, you potentially increase the chance that search engines will find your book. This can increase sales. It also reduces the chance that someone else with a competing book on your topic will buy a domain name with your title to drive people to their book. Description of the book and the benefits that buyers will derive from reading the book. Sales page where you sell your book(s). Announcements pertaining to author appearances. Other things that might interest current and potential readers. Make sure that you link any book website(s) to your author website to increase the chance that search engines will find all of your sites and drive traffic there. I have also purchased numerous domains that are active or “parked” (not active websites at the moment). These dormant site names are for future use and to prevent someone else from grabbing domains with my titles or concept titles. My three blogs offer content in book categories on which I have written and do consulting and speaking. On each of the blogs, I regularly promote books that I still have in print on related topic areas. Do authors need a website? I’ll leave that up to you. My perspective is that websites provide another vehicle for getting the word out about you and your books, products, and services. By being more visible, you potentially increase reputation and revenue streams. All of this is part of building an author platform. For more ideas and information on increasing visibility, personal branding and letting the world know about what you have to offer, check out Make Money Writing Books: Proven Profit Making Strategies for Authors. As a nonfiction author who self publishes, one of the most important tasks that you will have to tackle is how to write effective back cover sales copy for nonfiction books. This cover content is one of the most important aspects of your new book. That is because after your title captures potential reader attention, the next thing that typically happens is that they flip to the back cover to learn why they might want to read what is inside. Similarly, on the internet, this information will help snag their attention in a similar manner. Since there is very limited space on the back cover of your book, you must carefully and concisely describe the book, emphasize its value and what benefits the reader will derive and include crucial information like your barcode and ISBN. Another element that I like to add is a QR code that will drive readers to the book’s website where they can discover more information, preview content, and buy the book. Once you write the internal book content, you are ready to start creating the text for the back cover. Before you do, I suggest that you pay a visit to your local store and scout out books in the same genre and topic area. Look to see how other authors have approached the copy on the back of their books to get your own book cover ideas. Identify key words, benefits and the format that they use. Note similarities between competing books and emulate those. There is no reason to recreate a process that might be working well for other authors and publishers. Pay particular attention to books produced by large or major publishers. These companies have been in the business for a long time and have a professional staff that creates their sales copy. Use this expertise as a guide for your own book. When you are ready to write your back cover copy, consider how you will grab attention. You can do this in one of the following ways. Ask a thought-provoking question related to your book topic. For example, for a book on handling difficult customer situations, you might ask a question, such as, Have you ever dealt with a customer who were resistant to whatever recommendation that you made as a sales person? Offer a statistic. For example, in a book for entrepreneurs who want to start a new small business, you might say something like, According to the Bureau of Labor Statistics there were ______ new small businesses started in the past year. Depending on the type of business you want to start, many of these companies will be your competitor. Identify important resources that can help make your business a success. Create a business plan that will guide you through the establishment of your business and be used to approach potential investors and financial institutions to raise capital. Select the right type of business structure for your situation. Ready to make your dream of owning a new company a reality? Buy this book today and get started! In eight short chapters, this book can show you how to create a path to your own success – so what are you waiting for? Don’t waste another minute – get started on the road to business ownership by buying this book now. Two other elements that are often included on the back of a book include endorsements from well-known or successful people and a short author biography. Depending on the size of your book cover, there may also be room for a small photo of yourself. This helps readers put a name with your face. Doing so is important when you are working to develop a strong author’s platform and want to use the book as promotional material that can drive business to you or your company. For additional ideas on how to effectively market your book once you publish it, check out Make Money Writing Books: Proven Profit Making Strategies for Authors. Like every other book genre, non fiction books appeal to a certain type of reader. Depending on your focus, you might be sharing a personal memoir, providing self help tips, giving guidance on a specific topic or skill, or offering numerous other bits of information that readers might use to enhance their knowledge. Whatever your intent, you should take time to decide content and approach to writing before you begin in order to increase your likelihood for success. The following three tips for writing effective nonfiction books can help focus your efforts. Choose a topic on which you have expertise. Unlike fiction books, nonfiction book content is typically based on factual information and research presented in a logical and informative manner. For readers to select your book, instead of a competing one on the same topic, will often require that you have identified yourself as an expert on your chosen subject. Think from your reader’s perspective. If you are looking for a book on an historical event, or information that will help you to enhance your subject knowledge or skills, what would you want the writer to know or be? In most instances, the answer is someone who has experience and a passion for the topic and who has put time into gaining knowledge and expertise that they can then share in a book. Plan your message. Give thought to what you want to say and how you want to organize your book content. By doing a competitive analysis of books on similar topics, you can get ideas on how other authors have handled their content. Putting together a working outline and assigning tentative topics can aid you in staying on task and including things you think are important as you write. You can always go back and add, delete and rearrange content after you capture your thoughts in writing. Some writers actually create their outline (e.g. chapter titles and key concepts for each) on sticky notes which they paste on a wall. After they get them posted, they step back and read through the notes, often reorganizing or repositioning key concepts in different chapters. This editing can continue as you write your book. Develop a readable style or voice. Depending on your topic, it is okay to use humor or share personal stories that make the content more readable and personal. Also, make sure that you consider the level of reader who will likely pick up your book. Use a mixture of longer and shorter sentences and consider the words that you choose to deliver your message in order to hold reader interest and increase comprehension. Also, once you determine your audience, you can check for readability by doing spell-check in Microsoft Word or other software that you are using to write your manuscript. At the end of the spelling check phase, a chart will pop up showing the level to which the material was written. This is called Flesch reading level. While there is conflicting opinion on use of such readability scales, it is not a bad thing to at least consider the ease at which your message can be read and understood. For additional ideas on writing an effective nonfiction book, read my earlier blog posting. With almost 40,000 books a year published in the U.S., and the millions that have gone before, your book title is a crucial piece of your writing success. The title and subtitle that you select will serve to stop readers and encourage them to either open a link on a bookseller website or take the book off the shelf to explore further. Unfortunately, many authors who write how-to, self-help and educational books do not give adequate thought to selecting a marketable nonfiction book title. The following are important points to consider related to selecting a book title that is going to grab the attention of potential readers and make it stand out among competing titles in the same genre. One thing to know about titles is that they cannot be copyrighted. With all the books in publication now and in the past, the chances are good that a title you like has been previously used. It is often subtitles that differentiate books and helps readers tell them part. Still, you probably should not use a title of a book that is already published because readers might become confused. Also, you would not benefit by promoting your title only to find that a bookseller is offering an alternate publication with the same name to customers. They might do so because the profit margin is higher on the competing book, they already have that one of those books in stock, they personally know the author, or for myriad other reasons. It is probably better not to waste time and money competing when you do not have to. Even though words cannot be copyrighted, they can be trademarked. So, if the exact wording or phrase you plan to use as a title has been trademarked, you should avoid it due to potential legal issues that will likely arise. You would not want to pay to print a thousand books only to receive a cease and desist letter from a trademark owner who then wants all copies of the book recalled and destroyed and likely demand some sort of compensation as well. It is relatively easy to check trademarked names by doing a Google search and visiting the U.S. Patent and Trademark Office website. If you are in doubt, it is best to consult a lawyer familiar with copyright and trademark laws related to publishing before using a title. Add a Descriptive Subtitle. Create a phrase that appropriately lets readers know what the content is about and provides insights into the benefits or what they will gain by buying the book. Subtitles should enhance the reader’s knowledge of what to expect in the book. A well written one helps increase the potential that a potential buyer will select the book from a bookshelf and look at it. Here are the subtitles for the best-selling books listed above. The Sleep Revolution: Transforming Your Life, One Night at a Time. Race and the Conspiracy of Silence: Understanding and Facilitating Difficult Dialogues on Race. 100 Questions & Answers for Women Living with Cancer: A Practical Guide for Survivorship. When trying to decide on a subtitle, you may want to jot down a list of all the key benefits that readers will gain from the book and then categorize these. Select key words from each category and incorporate some of those into your subtitle. The Big Book of Flip Charts: A Comprehensive Guide for Presenters, Trainers, and Team Facilitators. The Creative Training Idea Book: Inspired Tips and Techniques for Engaging and Effective Learning. Energize Your Training: Creative Techniques to Engage Learners. Your title and subtitle are crucial element in the success of your book and you should give it careful consideration before choosing it. Like any other phase of the developmental process when creating your book, a simple way to help decide what works and does not is to prepare various versions of potential titles and subtitles. Send these out to as many friends, relatives and other writers as possible and ask them to pick their top three favorites. You might want to use the free services of SurveyMonkey to conduct your survey. Use the responses that you receive to narrow down options and help decide what your final book title and subtitle will be. I learned a lot and got many ideas for book publishing, writing, and marketing self-published books at the Independent Book Publishers Association (IBPA) conference. It was great getting to network with hundreds of other authors and self publishers and vendors who offer some useful services to help in the publishing process. Two useful resources for authors and self-publishers that I found at the expo are http://hummingbirddm.com/ and www.bookgrabbr.com. Both have potential as revenue generation vehicles for authors ad publishers. Hummingbird allows authors, self publishers, independent bookstores and others to increase revenue by selling their audiobooks and eBooks by using a branded storefront and app, and appearing in the company’s catalog. Unlike Amazon Kindle, Barnes and Noble’s Nook and Apple’s iBooks, with lower profit margins, this company suggests profits up to 23%. Sounds like it is worth checking out, so I have added this to my to-do list. A second interesting company representative that I spoke with at the vendor exposition explained their revolutionary system for generating more contacts through Facebook, Twitter and LinkedIn. You can accomplish that by offering free eBook chapter downloads through your social media accounts. You start by setting up an account and uploading your book file to Bookgrabbr. You then designate how much of the publication to share with readers. If someone on your Facebook, Twitter or LinkedIn pages grabs (accepts) your offer of a free download and then shares with his or her network, the offer spreads freely around the Internet. This seems to have more value that Facebook ads that I have been using because I can promote a book as an author for $25.00 per month. What useful tools have your discovered recently to help in writing and publishing your books? For more useful ideas related to book development and marketing, check out Make Money Writing Books: Proven Profit Making Strategies for Authors.